1994 – Veteran driver Chet Fillip posted the first career USAC National Sprint Car Series feature win of his career Saturday night, July 9 at Salem (Ind.) Speedway. 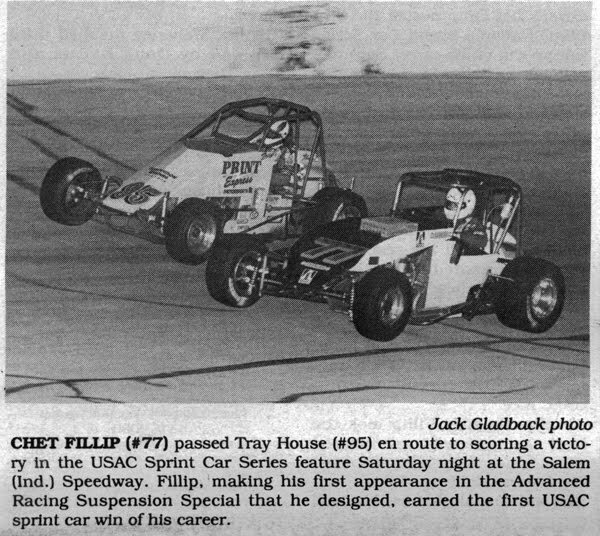 Fillips, making his first series start of the season, worked traffic to perfection as he drove from the eighth starting position to the front in just 13 laps. 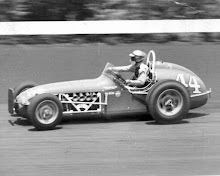 Fillips dove under leader Bill Rose as the two entered turn one of lap 13 and finished nearly a full straightaway ahead of Rose, who took runner-up honors. Jim Mahoney finished third followed by Doug Kalitta and Kevin Thomas. 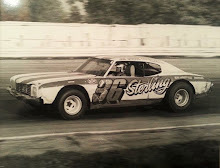 1988 – Rookie Craig Sunt of Sioux City, Iowa, recorded his first limited sprint car feature win at the mid-season championships at Lake County Speedway in Madison, S.D., on July 9. Sunt, in just his fourth weekend piloting a sprint car, led all the way by a straightaway over Mike Brudigan of Hoskins, Neb., while Kenny Hansen of Nunda, S.S., worked his way up to finish third. 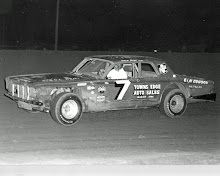 In the street stock division, it was the familiar red #75 of Marty Barber, Sioux Falls, taking honors for the seventh time this season. 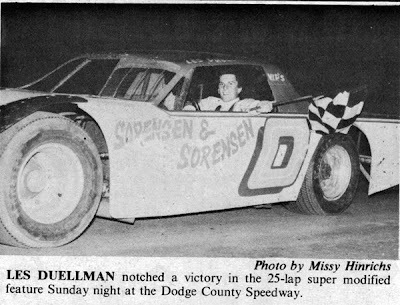 1983 – Les Duellman of Fountain City, Wis., grabbed the lead on the 18th circuit and went on to claim the 25-lap super modified feature at Dodge County Speedway in Kasson, Minn., on July 10. Duellman took the top spot from Lance Matthees of Winona, Minn., who then held on to finish in the runner-up spot. 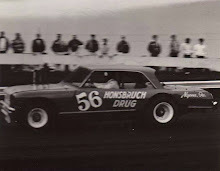 Bob Saterdalen, Don Zweifel and Tom Hoksch rounded out the top five. 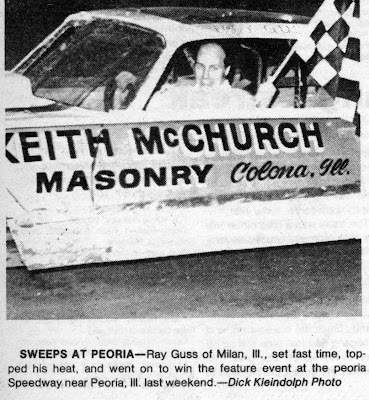 1977 – Ray Guss of Milan, Ill., set fast time, topped his heat race, and went on to win a wild and woolly feature event at Peoria (Ill.) Speedway on July 9. 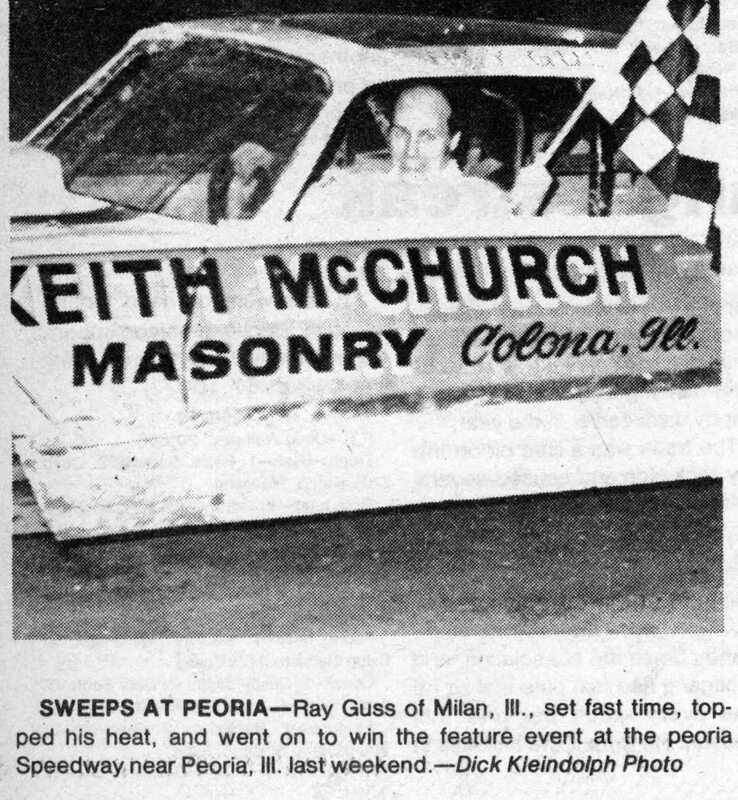 The feature was marred by numerous mishaps of which occurred on the fifth lap. Scottie Harris’ car crashed through the wall in turn number three, went down the embankment, and burst into flames. Harris escaped injury, but his car was demolished. On lap 17, Jim Strube’s car went through the wall less than five feet from where Harris’ did. Strube was able to continue however. 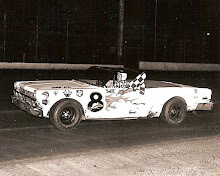 Bob Crump’s car caught fire on lap 19, in which Crump leaped from the vehicle with flames on him. He was rolled in the dirt to extinguish the flames and was not severely burned. Don Bohlander avoided trouble in the feature to finish second followed by another popular veteran, Dan Bennett.